The Odyssey 19mm Mid BB is made for frames that use the Mid BMX bottom bracket standard; American-sized bearings that require the bearings to be pressed into the frame. Like most BMX parts, the bottom brackets used on BMX bikes use proprietary sizes that are almost exclusively used on BMX bikes. 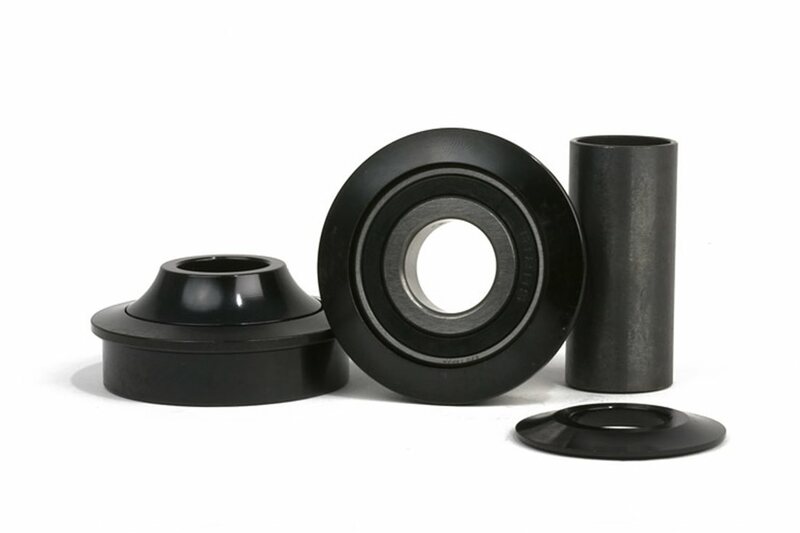 An American style BMX bottom brackets uses large sealed cartridge bearings that rest in cups that are pressed into the frame while the Mid bottom bracket standard uses the large bearings seen in the American style bottom bracket, but the bearings themselves are pressed into the frame instead of resting in the press-fit cups; this allows the bike to benefit from the larger bearings without adding weight from the press-fit cups.